How many electrons can fit in each orbital? Each atomic orbital can contain up to two electrons. Electrons have a property called spin angular momentum, which can take on two different values of opposite sign. It turns out that electrons residing in the same atomic orbital must have opposite spin angular momenta. This is a consequence of a physical principle known as the Pauli Exclusion Principle. 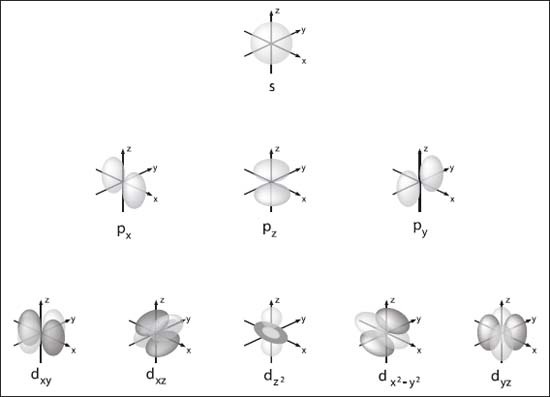 The four main types of atomic orbitals (s, p, and d) and their variants.